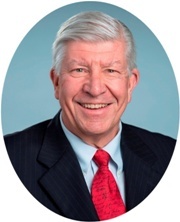 CEOCFO: Mr. Rice: having served as chairman of the board you were appointed interim CEO and principal executive on July 24, 2017 of Sigma Labs. Would you tell us about your previous efforts with Sigma Labs and what prompted the change? Roughly three years ago, while working as a CEO tasked with turning around a regional Coca-Cola franchise, I met Mark Cola, who was co-founder and CEO of Sigma. We developed a collegial mentor/coach relationship over Mark’s process of redirecting his multi-technology R&D company to focus exclusively on In-Process-Quality-Assurance (IPQA) technology for 3D metal printing. Over the ensuing three years, Mark led Sigma to a leading position in in process quality technology for 3D metal printing and then surged in early 2017 to simultaneously uplift the company to NASDAQ, complete a public offering, create a new Board of Directors that he asked me join, and yes, somewhere in that maze of rapid change and growth, Mark and the company reached the technology founder’s crossroads: a technologist founder of a company is often forced by scaling a business to choose between being a technology leader or a management executive. Having joined the Board in February and been elected its Chair in April, it was my task to facilitate Mark’s transition from CEO to Chief Technology Officer of Sigma based on the simple truth that as the leading technologist in his discipline for 3D manufacturing, Mark would be really hard to replace as a CTO and relatively easy to replace as a CEO. So, we had to free him to be CTO and give him the team and resources to try to dominate our technology space. As a CEO experienced in technology production and corporate transitions, it is easy for me to take the wheel of the rapidly changing Sigma because I do like to drive fast. CEOCFO: Would you give us a little history and background on Sigma Labs and its founders and its purpose? B6 Sigma (which became Sigma) was started over seven years ago by a group of scientists and engineers, including two really bright technologists, Mark Cola and Vivek Dave, both from Los Alamos National Laboratories. It appears to me that their goals were something like: “do some good, make some money, and have some fun.” The company’s technology path was to develop a number of products based on using metallurgical science to improve products’ performance or to have new capabilities, altogether. Like many technology startups, Sigma used the SBIR program to fuel its R&D. This pathway led them inevitably to 3D printing in metals simply because it is such a dynamic space for cutting edge metallurgists- of whom, by the way, there are not a lot. The other pathway the company followed was a winding business road of mergers and acquisitions including a share exchange (or "reverse purchase") into becoming a public company on the OTC Bulletin Board. Over the past three years the company’s focus on 3D printing led to discontinuing development of the company's other products and to a clear commitment to planned commercialization of IPQA for 3D printing on which the company's current team, including me, are focused. CEOCFO: How is 3D printing changing manufacturing in the world today? Today, 3D technology is the convergence point of several digital and digitally deliverable technologies, and we believe this will transform the manufacturing world of tomorrow. 3D printing allows us to use digital 3D CAD tools to design products, then digitally evaluate and improve design and performance integrity, to blaze across the Internet of Things directly into a 3D manufacturing machine perhaps sitting in another state or country to manufacture and inspect and certify quality (using Sigma’s technology in this step), after which a human finally gets to touch and assess the product. 3D is then fashioned by a 3D printer so that you can have that surgery faster than you would probably like. Imagine a machinist on a 60-year-old Navy cruiser finds that a part is failed or failing and there have been no spares manufactured for the part for years. No worries, in hours a new part can be in production on the ship’s 3D manufacturing equipment. Imagine an airplane manufacturer moving a few small parts into production on 3D equipment in order to save weight and cost; that one requirement would dramatically increase the number of 3D manufacturing machines in the United States. Each one of these ‘imaginings’ is based on existing working technologies, and is in fact being used prototypically today. So, it doesn’t take much imagination to see a United States in the near future in which every machine shop and every major manufacturer relies heavily on 3D production equipment. CEOCFO: Sigma Labs offers both products and services, so let us start with your 3D Metal Printing Service. Would you explain the process of doing 3D printing on metal and what makes that possible? Sigma manufactures R&D products and prototypes in Santa Fe New Mexico using equipment manufactured by EOS in Germany. Another term for 3D manufacturing is Additive Manufacturing and that term, too, aptly describes the 3D metal printing process. Thus, we load a digital design file into a machine that is standing by with a bed of fine metal powder and a laser looking down on the powder. When instructed to start manufacturing, the design file directs the laser where to work and what to do. The laser builds a part by melting the powder into the density and shape required by the design. The parts are sculpted to the design parameters with the laser functioning as a welder laying down one melted metal layer atop another until the design is completed in a finished part. Of course Sigma is using PrintRite3D® as it manufactures the part, millimeter by millimeter, layer by layer assuring the machine operator that the metal being formed in real time is complying with the design. If we were trying to make the same part on a CNC machine, we would be engaging in ‘reductive manufacturing’, starting with a block of metal using milling, lathe, and drilling to carve a part out of the metal block by reducing away the metal. Additive manufacturing often enables Sigma to form complex parts as a single unit that the limits of reductive manufacturing would require becoming an assembly composed of two or more parts (meaning more weight, more labor, and more potential points of failure in the field). 3D manufacturing permits designers to use only as much material as is required to meet metal strength, fatigue and other qualities required by the end-use of the part and this saves material cost and overall part cost when the full capabilities of additive manufacturing are employed on complex applications. CEOCFO: What types of products are you delivering, who are the customers for your 3D Metal Printing service and what sets you apart from the competition? Sigma’s 3D product manufacturing activities are dedicated to prototypes and R&D that are proprietary to our customers. We have a strategic alliance with Morf 3D and intend to channel production volume work to and through Morf3D and other high-end user of PrintRite3D®. This practice allows Sigma to provide design to delivery by allying with, rather than competing with the companies in the service bureau niche to which we are also selling PrintRite3D®. We believe that users of PrintRite3D® for in process quality assurance, whether they are high end/ high quality service bureaus or end-user manufacturers such as in the aerospace industry will have a competitive advantage over their competitors, and we hope that is our advantage over our competitors in IPQA. CEOCFO: Would you tell us about your breakthrough PrintRite3D® system? PrintRite3D® is a technology that we believe to be essential to enable 3D metal manufacturing to make the leap from prototype manufacturing to cost efficient high yield production runs. Some of the exciting traits of 3D manufacturing mentioned above come at the price of substantially obsoleting traditional quality assurance processes for manufacturing when applied to 3D metal manufacturing. Whereas traditional quality assurance takes place before and after but usually not during manufacture, 3D manufacturing is very costly to try to assure post process. There can be substantial variance in parts manufactured in a single 10-20 part run on a 3D metal manufacturing machine. Traditional post process inspection is being accomplished by one high technology manufacturer by using a CT scan to check each part – part of a process that is typically costlier than the part itself. Additively forming a part is an iteration welding sculpture that by its nature is a different machining and quality problem than reductive carving metal with CNC machine. This problem is increased by the fact that 3D can transform what has a traditionally being a subassembly a several parts into a single part manufactured with internal l features that are very difficult/costly to inspect once the oar is fully formed. Thus, the optimum solution to assuring quality of 3D printed metal parts is to inspect each part layer by layer as the part is made and to have the means to process the data gathered to inform in real-time if the part is meeting design parameters as it is made. Sigma’s breakthrough is that we believe we have accomplished this with more precision and thus with our algorithms, more actionable decision than any company we are aware of. PrintRite3D® can determine if a part is “good, bad, or maybe” as it is being manufactured. The complexity of 3D metal manufacturing for quality assurance today is that the manufacturing machine is the constant and the part is the variable. Today, PrintRite3D® makes it possible for producers to minimize the cost and maximize the yield of 3D manufacturing to their own parameters. Sigma dreams of the day in the future when its technology ‘closes the loop’ and is utilized by the manufacturers to vary the machine in production to make the part the constant and to accomplish optimum yields and cost. Today, Sigma is striving towards that future. CEOCFO: Are you the first company to provide such process control and quality assurance software for additive manufacturing? We are one of the first companies to develop IPQA equipment and software packages. It appears to us the tour competitors have done a good job of exploring methods of gathering in-process data. We believe that we lead the pack in having figured out how to process the data and inform the machine and its operator of actions that may be taken and parts that may be selected out. CEOCFO: Who is turning to you for your PrintRite3D® product? What is involved with implementation and would you tell us about the level of support you provide? We are installed at mostly high technology settings including Woodward, Pratt & Whitney, Honeywell, Aerojet, Solar Turbines all in the U.S. and Siemens in Sweden, and as OEM suppliers to a large AM machine manufacturer in Germany, to Additive Industries in the Netherlands, and to Spartacus3D France. Additionally, we are working with a few high-end service bureaus in the US as part of our integrated digital ecosystem. At this stage in the market’s development we are providing a lot of hands on support. Or task is usually to show the customers how to use the equipment and then to rely on it. New features added to existing technologies require habit change in order to implemented adoptions. We are working with our customers’ support on educating and changing habits to use the cool new thing that they really need to make their products better and their jobs easier. CEOCFO: How does Sigma Labs attract customers and attention to the products and services you provide? Do you attend conferences and do road shows? Is print and online marketing a big part of what you do? We are high technology sale to an emerging market, so we do attend relevant 3D technology conferences and symposiums. The community to which we sell is still relatively small, but growing very fast over the past 2-3 years. We are now having sales representation in the U.S., Europe, and Asia because these areas have deep and growing interest in the technology. Print media such as trade journals whether tendered by paper or LED are very important to us in spreading knowledge because our sophisticated community is certainly more skeptical of direct advertising than third party research on technologies like ours. Our 3D community of potential buyers is composed of many different needs and motives, but they appear to be a homogenous community in terms of Internet connectedness and emerging technology culture. CEOCFO: How has your role changed since becoming CEO? I’m busy. Sigma is a company in transformation with and into its marketplace. We are redefining some of our roles and configuration and focus. Although product development is a forever element of a technology company, we are forcing the company culture to commercialization and away from R&D. Sigma has shared with the public that part of our strategy is that we wish to grow Sigma externally as well as internally through acquisition by adding compatible pieces to our digital domain of 3D quality assurance technology. Our M&A exploration requires meticulous effort and diligence and a lot of effort, although there is no assurance that any acquisition will be consummated. Sigma has a story, a team of people, a vital technology, and an exciting emerging market. Whatever role I must play that leads to building Sigma into a great company is a role I’m happy to play. CEOCFO: Is Sigma Labs currently involved in any funding efforts? Are you looking to attract investors or partners? There is nothing that I can disclose or announce, and in proper parlance of companies no assurance there will be. It is logical to assume that if we were to find acquisition of a given size that at we might deem an offering a good idea. CEOCFO: Is there anything new that we can look for from Sigma Labs over the next year? Yes, but I can’t share them with you at this time. So, do keep an eye on us. CEOCFO: How are the policies of President Trump’s administration affecting your industry? I have not seen anything yet that runs hot or cold for the 3D manufacturing industry. As always, I am seeing both optimists and pessimists making their respective predictable predictions. CEOCFO: In closing, please address our readers in the business and investment community? 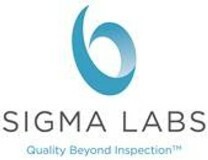 Why consider Sigma Labs? Our message to the business community is that we believe that our technology is essential to permitting access to production levels of high-quality high yield parts, so the sooner we work together, the sooner you will reap this benefit. Sigma’s message to the investment community is simply that we hope they will use the good tools available to the public for assessing a microcap company in a dynamic setting. Our reason for being is selling our technology not our stock.